Third-ranked Alabama will face 11th-ranked Oklahoma in the Sugar Bowl on Jan. 2. The game will be played in New Orleans, La. (SBNation). Alabama was a near-lock for the Bowl Championship Series, BCS, National Championship Game until they lost on a last second, 109-yard touchdown return by Auburn safety Chris Davis on Nov. 30. 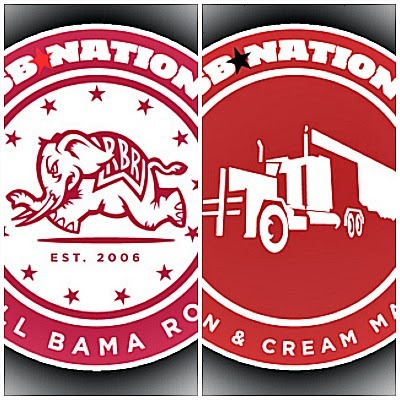 The third-ranked Crimson Tide will play 11th-ranked Oklahoma in the Sugar Bowl, New Orleans, La., on Jan. 2. The Crimson Tide (11-1 Overall, 7-1 Southeastern Conference) have lost one game for the third-consecutive season heading into a BCS Bowl Game. Their lone loss to the then fourth-ranked Tigers ruined their chance of trying to win their third consecutive BCS National Championship. Heading into the Nov. 30 game between the Crimson Tide and the Tigers, nearly every College Football expert thought the 10-0 Crimson Tide were the favorites to win the BCS National Championship Game. That all changed on Nov. 30 when the Tigers defeated them 34-28 on a last second touchdown. That Crimson Tide defeat led to the BCS voting committee moving them from being the top-ranked team to the third-ranked team in the BCS Standings. The only scenario they would have made the BCS National Championship Game was if top-ranked Florida State and then second-ranked Ohio State suffered defeats on Saturday. Only one of those two teams lost on Saturday, so the Crimson Tide were only able to move up one spot in the final BCS Standings. 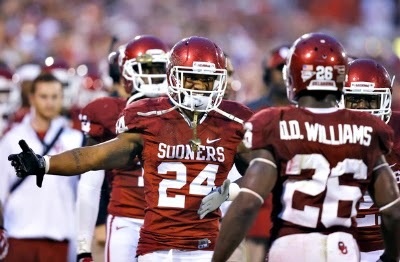 They will attempt to improve to 4-1 against top 25 teams this season when they faced the 11th-ranked Sooners. The Sooners (10-2 Overall, 7-2 Big 12 Conference) have had a very good season as well. They clinched a spot in a BCS Bowl Game by defeating their third top 25 team of the season on Saturday. Then sixth-ranked Oklahoma State had to defeat the then 17th-ranked Sooners to win the Big 12 Conference to earn a BCS Bowl Game appearance. The Cowboys were unable to do that as the Sooners defeated them, 33-24. The Sooners' victory propelled them two spots ahead of the Cowboys in the latest BCS Standings, earning them a Sugar Bowl appearance. It is unknown if the Crimson Tide head coach Nick Saban will use Stoops' statement as motivation for his team leading up to the Sugar Bowl. This story line does not overshadow how people are perceiving the Sugar Bowl matchup. The reason why the Sooners are heavy underdogs is because many people view the Crimson Tide as a much better team. If it was not for a last second touchdown by Davis, the Crimson Tide would probably be playing in the BCS National Championship Game. On paper, the Crimson Tide are much better than the Sooners. The Crimson Tide are led by Heisman Trophy contender, senior quarterback AJ McCarron. McCarron has won two BCS National Championship Games and has a 45-3 record. One of the key aspects to a Crimson Tide victory will be stopping the Sooners' running game. The Sooners' 18th-ranked running game, rushing for 235.8 yards per game, is led by running backs Brennan Clay and Damien Williams. The Crimson Tide have the 11th-best rushing defense, allowing only 108.3 rushing yards per game. That defense performed terribly against the Tigers as they gave up 296 rushing yards. If Clay and Williams are able to combine for that many rushing yards, then the Crimson Tide will have trouble winning the game. The Sooners' history suggests that they will lose to the Crimson Tide. The Sooners' have a very good record against a very good SEC, 10-7-2. However, in Bowl Games, the Sooners' record against the SEC is 4-7-1, according to http://mcubed.net/ncaaf/tvc/ok/sec.shtml. This includes the Sooners' suffering defeats in their last three Bowl Games against SEC teams. One of those games was a 24-14 defeat to Florida in the BCS National Championship Game on Jan. 8, 2009. The last time the Crimson Tide made a Sugar Bowl appearance was on Jan. 2, 2009 when they lost to, heavy underdog, sixth-ranked Utah, 31-17. The Sooners will attempt to pull off the second Sugar Bowl upset against the Crimson Tide in five years on Jan. 2.